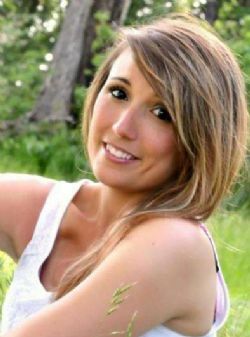 Faith Danee Ketner, 29, of Celeste died Thursday, January 24, 2019. Her funeral service will be 1:00 PM, Tuesday, January 29, 2019 at Highland Terrace Baptist Church under the direction of Coker-Mathews Funeral Home. Rev. Jim Sherwin and Dr. Chet Haney will officiate. Interment will follow in Sonora Cemetery. Visitation will be 6:00 PM to 8:00 PM, Monday at the funeral home. Faith was born in Sulphur Springs, Texas on December 5, 1989. She was the daughter of Gene Roy Ketner and Kathy Rayshell. She was employed at Auto Zone in Greenville. She is survived by her mother, Kathy Worley and step-father Roberto Olivares; son, Aiden Espinosa; daughter, Peyton Wright; brothers, Devon Walden and Dalton Krodle and wife Kassidy; and her grandparents, Brenda Willaby, Tony Willaby, Daryle Rayshell, Joe Ketner and Peggy Ketner; and her great-grandmother, Katherine Gable. Her father preceded her in death. Pallbearers will be Dalton Krodle, Devon Walden, Fritz Vale, David Ketner, Dominic Mandujano and Justin Wright.